These days, a good number of people prefer entrepreneurship to a comfortable 9 to 5 job. This allows them to make the best use of the talent they have, provide employment opportunities to others, sell more products to customers/clients/trading partners, etc, and earn great revenues. The lack of a start-up capital, infrastructure and staff are the main obstacles which prevent folks from having their own business ventures. So, do you want to open an effective online business without having a start-up capital? 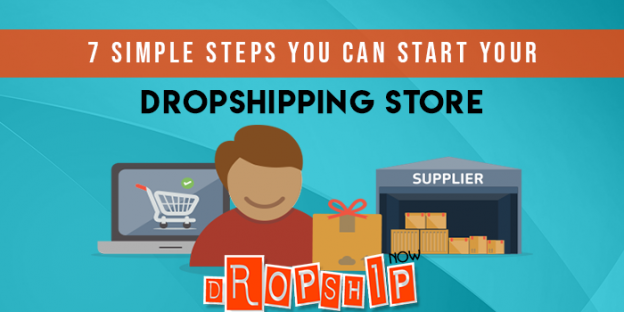 If yes, then get started with Dropshipping. It is a great opportunity for aspiring entrepreneurs to try their luck in the rapidly growing business market and get tremendous success within a few days after a successful launch. To create your own WordPress powered dropshipping store? Contact WordSuccor Ltd. In simple words, Dropshipping is a trading method in which the seller company offers products and services to everyone who wants to sell its goods to end customers without making advance purchases. You can act as an intermediary, find buyers, send the order to the supplier. 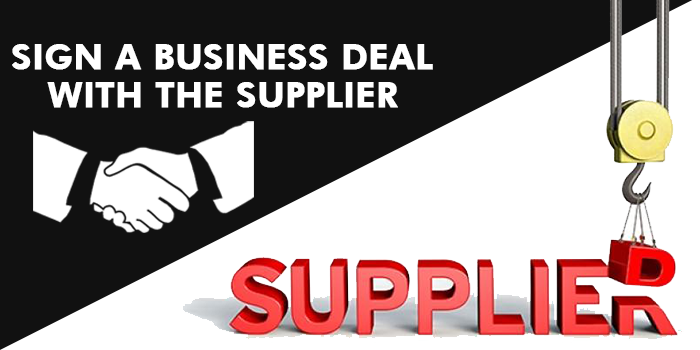 The supplier supplies your products to customers on your behalf. A wholesale company or even the manufacturer itself can act as a supplier. In this business model, the supplier receives a sum of money equal to the wholesale price of the goods. You get a cut from that (the price difference between the wholesale price and the one for which you sold the goods to customers). Online store Join hands with an online platform that facilitates online shopping. Your Customers Define who your customers are. Supplier Direct manufacturer or contractor from whom you order the goods as an intermediary. When he/she gets payments from customer, you get the commission amount. The dropshipping business begins with the selection of goods and services. Just explore the market and try to know the products needed by people. 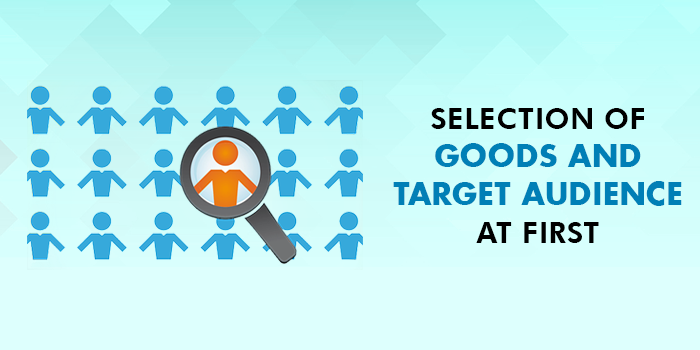 This will also help you to find the targeted audience. You must have a deep knowledge of the technical characteristics and features of products you want to sell. To sell certain categories of products, especially when you want to import products from foreign countries. The selected products must comply with fashion trends, season and cultural values of your potential buyers. It is always good for start-up entrepreneurs to opt for one main product and a small list of related products. This will help them to concentrate on sales and make more transactions every day. To start the drop shipping business, many suppliers make it essential for you to have a professional trading platform (online source from where visitors can buy products/services). So, give a name to your business, promote it on social media websites and blogging websites. Create an online store or get it done from professional WordPress website building companies. Make sure that your website is mobile friendly, fast, trendy and professional. Only then you will be able to attract more people to your brand and sell products in bulk. You must necessarily select reliable suppliers for dropshipping to ensure the efficient operation of your store. You can use the aggregators and catalogs of suppliers to find a good business partner. Always keep in mind that foreign suppliers of drop shipping work on a prepaid basis and in most cases, you will not need to make a specific business deal. However, this becomes an unavoidable task when you deal with Multinational companies and big firms that operate their businesses in different countries. If you plan to cooperate with domestic suppliers or directly with manufacturers, make an agreement to receive products at wholesale prices. Contact the sales department in your area to legalize your business deal. If the supplier agrees to offer products directly, sign a drop shipping contract indicating the variable remuneration. Always act as a legal or natural person for gaining maximum benefits. You can make the business deal for an indefinite or a certain period of time depending on your specific business needs. Always keep in mind that many suppliers provide dropship services as per their own standard contract. So, make business deals in such a way that your business interests are fulfilled without giving unfair advantages to business partners. Once you make a business deal, the supplier provides you with catalogs of products that are available for sale through the dropshipping system. Based on your needs, take any product from the general list and add it to your store, social media web pages, ads, SEO campaigns, etc. Dropshipping stores have special built-in functionality to upload the selected items. Start selling 20-50 products in the beginning and expand the range later on if there is great demand for products sold by you. Don’t be over dependent on suppliers for business marketing. For each and every product, you must create your own description as suppliers often provide copied materials. Hire a professional content writing agency for this work or do it yourself if you have the in-house infrastructure. Use descriptions in keyword research and premium ads on Google AdWords. Take images from the supplier’s website if they are not protected by the copyright laws. Click images yourself if no other options are available. Always keep in mind that the choice of mark-up on the product depends on the level of demand for the product and your costs (advertising, delivery, risks, profits). So, when choosing a retail price for products, you should also analyze your competitors’ offers. This will help customers to get high-quality products from you at affordable price tags and be associated with your brand for a long period of time. 3) Different payment methods and delivery service. If the supplier works on a prepaid basis, use online payment systems to accept payment from buyers in advance. 5) You need to confirm the customer’s order by correspondence or over phone calls, having previously checked with the supplier for the availability of goods and services. 6) In order to minimize the risks, check the delivery requests of customers and get feedback from them. This will help you to evaluate the work of your supplier and build a positive reputation among customers. If the supplier has failed you or has not transported the goods to customers, the responsibility is placed on the dropshipper. So, don’t deal with fraud elements and work only with reliable suppliers to maintain your reputation in the market and keep expanding your customer base one after another. If the supplied products are defective, ask the supplier to provide a replacement as soon as possible. If the customer is not ready to wait for the acquisition of a replacement product, refund the money with an unconditional apology. Before the commencement of dropshipping business, calculate the starting costs and possible profits. This will help you to minimum sales to reach the break-even point and generate income. The main costs of a dropshipping business consist of store advertising and administration, taxes, telephone charges. SEO costs. It has been observed that the majority of earnings in this business model is made through social networks. Having a full-fledged online store and legalization of business is needed to make the desired progress easily in a short span of time. Indeed, dropshipping has now become a real opportunity for enthusiastic entrepreneurs to be their own boss and earn great income every day. By following the above-mentioned tips, you can easily start dropshipping business without making any major investment & get the desired success in a few days. Best of Luck!